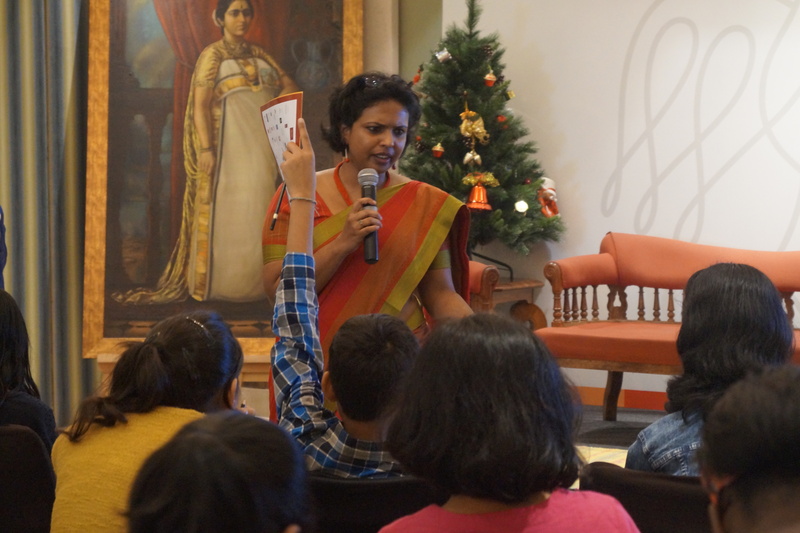 Co Media Lab conducted a 2-hour session titled ‘Young Journalists Workshop’ on 17 Dec 2016, day 1 of the Bangalore Literature Festival (BLF) 2016. It was a part of the Children at BLF section at The Royal Orchid Hotels, (Old) Airport Road.. This workshop for children 12 years and above was facilitated by Lakshmi Karunakaran, a consultant at Radio Active 90.4 MHz. The idea of the workshop was to expose children to ‘Good Journalism’ which is vital for the development of any society. Good journalism helps maintain a free, progressive, open and informed society, and young people must engage with the media both critically and creatively. This workshop helped introduce the young participants to the basics of reporting, and helped them get hands-on experience through use of multiple media. Other ways of presenting information: feature story, editorial, column, photo essay, interview, etc. Who is a good journalist? It was an interactive session with over 20 participants animatedly engaging with the facilitator. Five of them signed up to observe and report on some of the various events of the workshop. Subsequently, an article titled ‘Wisdom of a timeless classic decoded for children’ by Nitya Deep, one of the participants of the workshop was also published on Citizen Matters.